If you are lucky enough to be passing by the Old Greenwell Farm on a Thursday between 10-1 stop by to see the Kona Historical Society “Living History” demonstration. 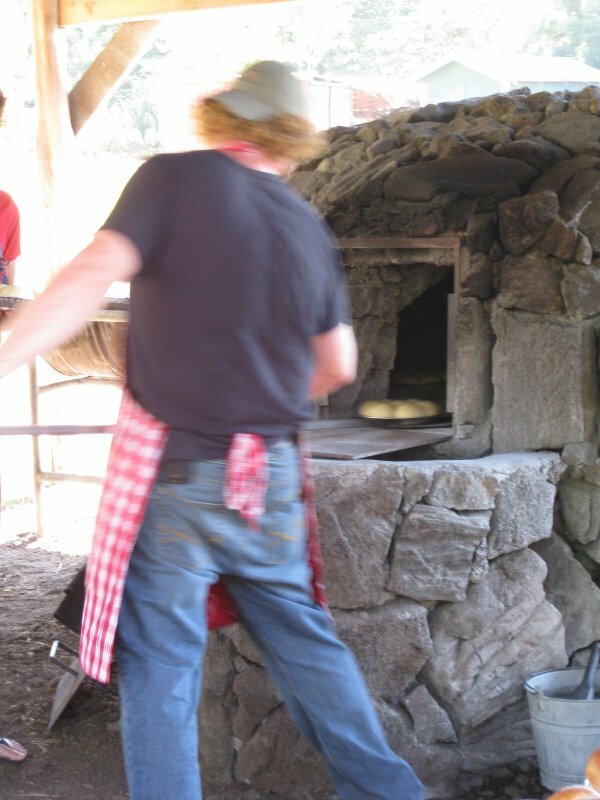 Go down in the field where you will see their wood-fired forno, an outdoor stone oven, they built in 2005 to bake Portuguese Bread the old-fashioned way. The Portuguese from the Azores and Madeira started coming to Kona in the 1870s to work in the ranching industry in Hawaii. Where they settled they would build these stone ovens and bake their breads, soon they began baking and selling the breads to supplement their income. It’s a great thing to see this artful process and witness the excitement on the faces of those waiting for the freshly baked warm bread straight from the outdoor oven. 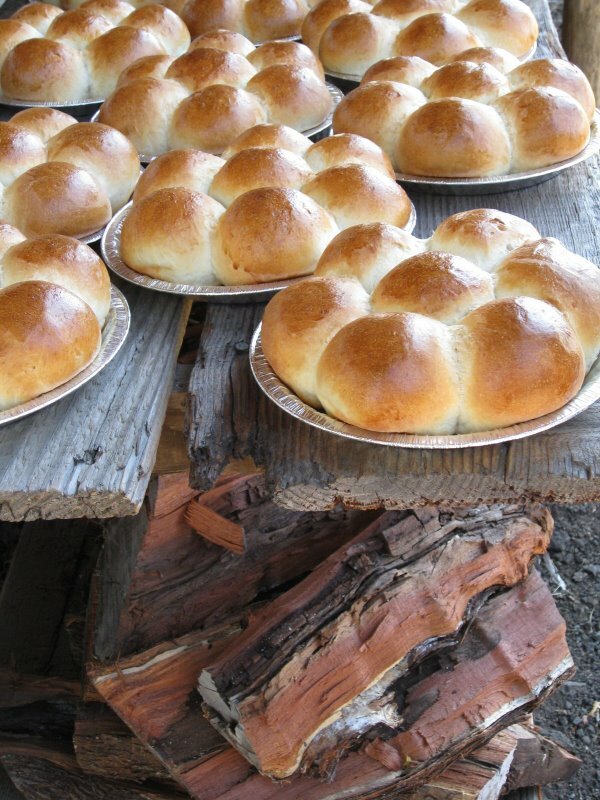 A splendid delight with a pat of butter a tasty part of Hawaiian History.